Anyone who has worked with a Java-based project has noticed the tendency of build systems like Maven and Gradle to seemingly “download the Internet” during compilation. The effect is magnified if your workflow uses containers because build artifacts are, by definition, removed after the build process completes. Developers get tired of this waste of time and resources quickly. 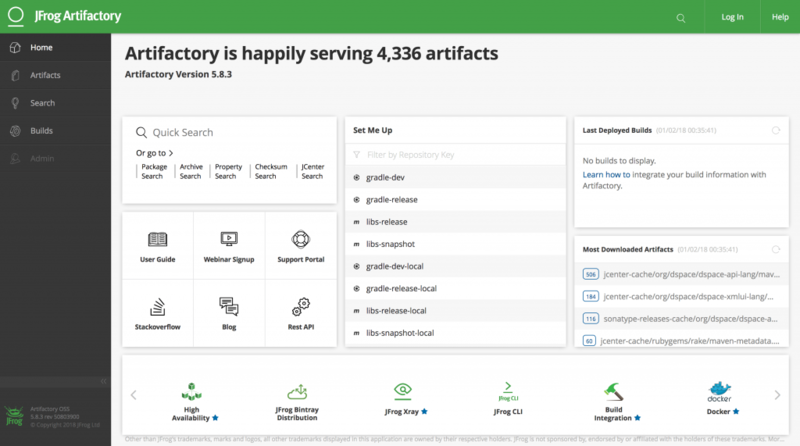 By default Artifactory sets up a “virtual” repository called libs-release that is configured to transparently proxy and cache release and snapshot artifacts from Maven central. This should probably cover most of your project’s build artifacts — or at least enough to verify that it’s working. 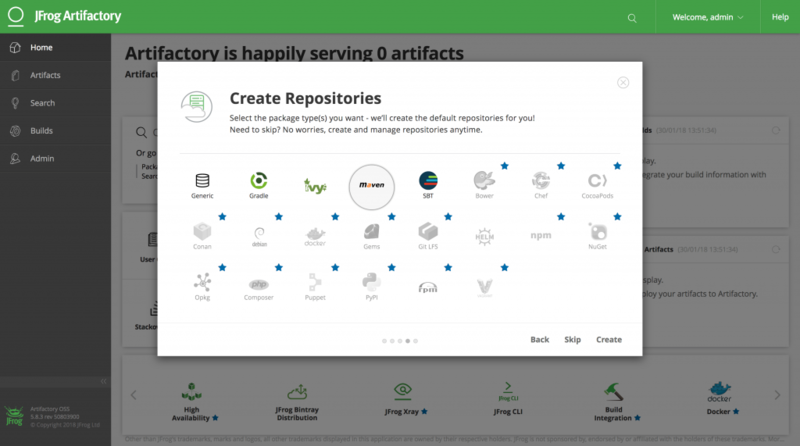 Later, once you understand how Artifactory works, you can add more remote repositories and include them in the default virtual repository (check your project’s pom.xml for other <repository> blocks). For example, I’ve added restlet, rubygems-release, and sonatype-releases as well. Artifactory’s web interface has a neat “Set Me Up” utility that will generate a Maven settings file for you, but I find it a bit confusing because it caters for use cases like publishing artifacts to the repository. As we only need anonymous read-only access for now, it’s much easier to just use the snippet below as a starting point instead. Now when you run mvn package you should see Maven contact your local repository instead of a remote one. If Maven requests an artifact that doesn’t exist in the cache yet, Artifactory will go fetch it and then send it to you. The next time Maven requests that artifact it will already be in the cache and will be retrieved much quicker. Maven builds in your normal working environment actually already populate an artifact cache located at ~/.m2/repository, so after one or two builds you won’t really benefit from the Artifactory cache at all. The real benefit to hosting your own artifact repository locally — and the driver behind this post — is using its cache in a container-based workflow. The Docker image building process is one particularly painful part of this workflow because images generally start with a clean build environment by design, and therefore any Maven packaging steps will “download the Internet” again every time you rebuild the image. To use your Artifactory cache with other Docker containers they must all be on the same user-defined network because Docker’s default network configuration does not allow containers to talk to each other. You will have to destroy the Artifactory container you created earlier, create a new network, and then re-create the container to use this network — you did create a volume for your data earlier, right? February 4, 2018 February 8, 2018 Alan OrthComments are off for this post.